physics.fisikastudycenter.com, high school vectors tutorial. 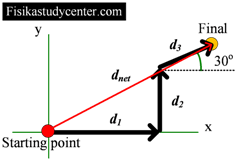 In this tutorial we'll see how to find the angle between two vectors. Given two vectors F1 and F2 that are forming an angle (θ). If F1 = F2 = R, where R is the resultant of the two vectors, find the magnitude of θ ! physics.fisikastudycenter.com, high school vectors tutorial. In this problem another basic concepts are needed, trigonometric, and equilibrium conditions. Given two vectors F1 (the magnitude is unknown) and F2 = 7 N in a x-y system as shown in below figure. The resultant vector R = 14 N is in x-positive direction forms an angle β with F1. Find the magnitudes of sin β and cos β! (F1 + F2) − R = 0, this is an equilibrium equation and in here − R is actually R'. physics.fisikastudycenter.com, high school vectors tutorial. In this discussion, we'll learn adding vectors by components using sketch and adding vectors geometrically. 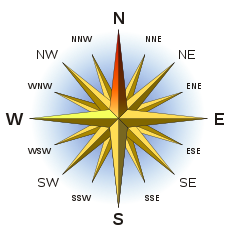 A car is driven east for a distance of 50 km, then north for 30 km, and then in a direction 30° east of north for 25 km. Determine the magnitude and the angle of the car's total displacement from its starting point! physics.fisikastudycenter.com, high school vectors tutorial. The solution of this problem shows how to use dot product / scalar product to find work done by a force in unit-vector notation. 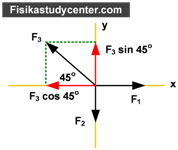 physics.fisikastudycenter.com, high school vectors tutorial. This problem shows how to find the resultant of three vectors using analityc method. Given three forces as following figure, find the magnitude of resultant!